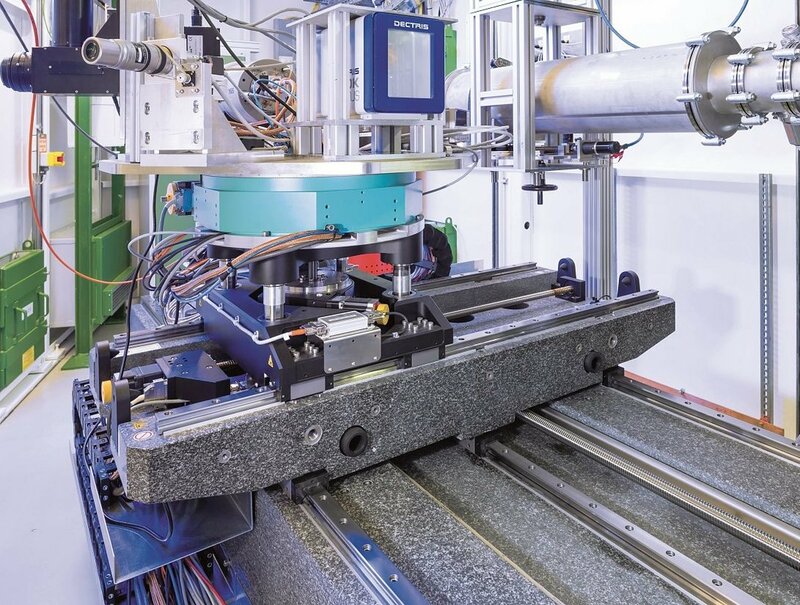 The Hard X-ray Micro/Nano-Probe beamline P06 at PETRA III provides advanced visualisation with micro/nanoscopic spatial resolution using different X-ray techniques. In the Nanoprobe hutch, coherent diffraction imaging applying ptychographic scanning schemes enables X-ray microscopy with increased spatial resolution down to the low nanometer range. Due to the extraordinary brilliance of the PETRA light source, measurements could already be done with spatial resolution of 10 nm only. To achieve such a high resolution with an X-ray scanning microscope, all individual positioning tasks need to be executed with the best available components. For positioning the detector, for example, an XYZ substructure featuring large strokes was necessary. On top, this three-axis system carries a large-scale rotation stage allowing to select the different detectors that are used for the particular X-ray techniques, which is why vibration influences and tilting errors needed to be reduced to the minimum. 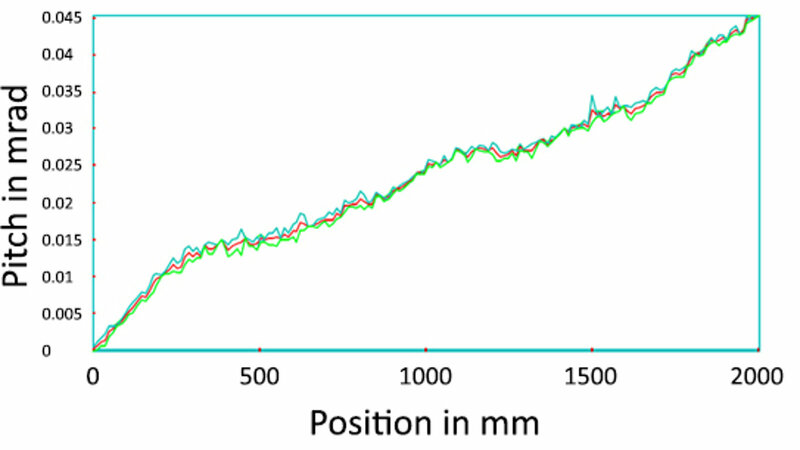 The 2000 mm stage proves an overall position deviation of 14 µm, with a bidirectional repeatability below ±1 µm. 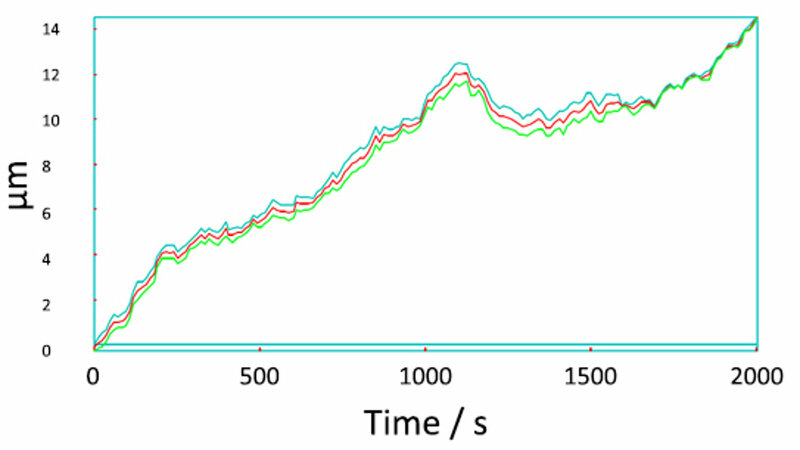 The tilting error orthogonal to the 2000 mm motion axis is below 50 µrad. PI miCos designed and delivered the XYZ stage which was made from granite to ensure evenness and long-term stability as well as decoupling from environmental influences like vibrations. It provides 2000 mm × 1000 mm × 100 mm linear displacement while the overall position deviation is better than 14 micrometers. The allowed pitch error was limited to 50 µrad over the full stroke of 2000 mm. Position repeatability if accessed from arbitrary directions is ±1 µm. On-site commissioning and start-up operation were done by PI miCos.